Chris Hoppe and his mom, Beth Hoppe, founded Progressive Fitness CrossFit in the summer of 2009. They opened their CrossFit Gym not only because they wanted to, but because they had to. Chris and Beth were both struggling with an Alcohol and Drug Addiction, as well as being very overweight. They were out of options and something had to change. The love and knowledge of the CrossFit community provided them with the change they were looking for, and they jumped in with both feet.Through countless hours working on nutrition and fitness, combined with the love and support of an amazing community, they found success. Together they have lost over 125lbs, gotten off all medications, climbed a combined 28-14,000ft peaks, and competed at both the CrossFit Regionals and CrossFit Games. But the best part of their journey is the community that was created along the way. 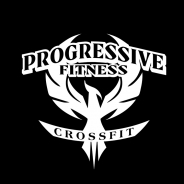 Progressive Fitness CrossFit has become much more than just a gym or even a community, we are a family. Each Progressive Fitness membership provides four opportunities for individuals recovering from substance use to join The Phoenix, free of charge.The Phoenix is a fitness community that transforms membership into hope through the support of The Phoenix Free-Sober-Active Community. It’s one thing to achieve your personal fitness goals, but it is another to inspire others to reach their own. That spirit of unity and support not only defines the Progressive Fitness community, it also drives our mission to help members of The Phoenix transform their lives through fitness.The journey to health is hard, trust us, we know. But it’s so much easier with amazing people by your side and we’re with you every step of the way.